Started working in glass in 1969 in Los Angeles, CA. Suellen Fowler has blown and sculpted glass for over forty years. 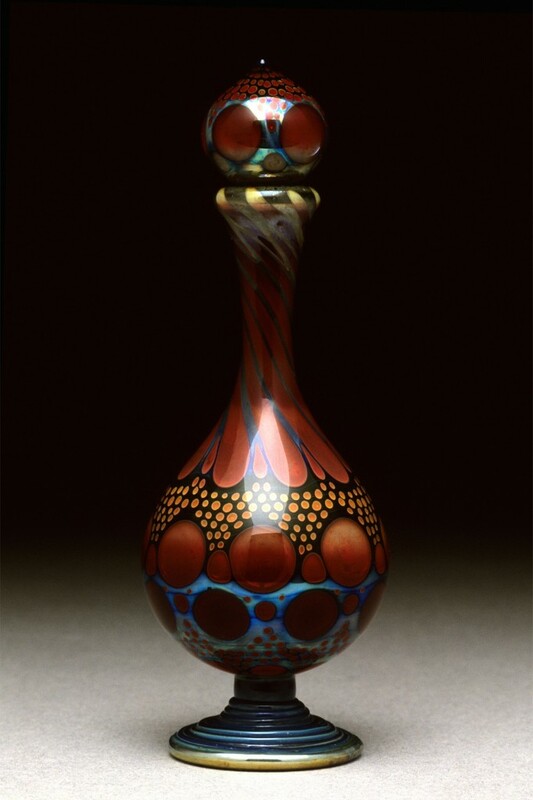 She is the foremost practitioner of a method of flameworking characterized by working off the end of a glass blowpipe. Building layers of clear and colored glass, her finished vessels are rich in color and intricate design. She makes a wide variety of solid sculptural pieces, many full of whimsy, as well as loving reproductions of birds and other animals. She displayed a passion for color, drawing and sculpting at an early age. Encouraged by her parents to develop these talents, she was enrolled for several years in children’s classes at the Chounard Art Institute in Los Angeles. At the time of the Glass Workshop (1968 – 1973), borosilicate glass had a limited and unsophisticated set of colors available to the artist. Suellen and a small group of her fellow students began researching chemical formulae that led to an improved, but still limited, range of colored borosilicate cane. After the demise of the Workshop, Fowler continued working independently developing an extensive range of color formulae. Her formulas were the basis for the development of commercially produced color. She has continued with her color development, and her work shows the rich palette of colors she has available. 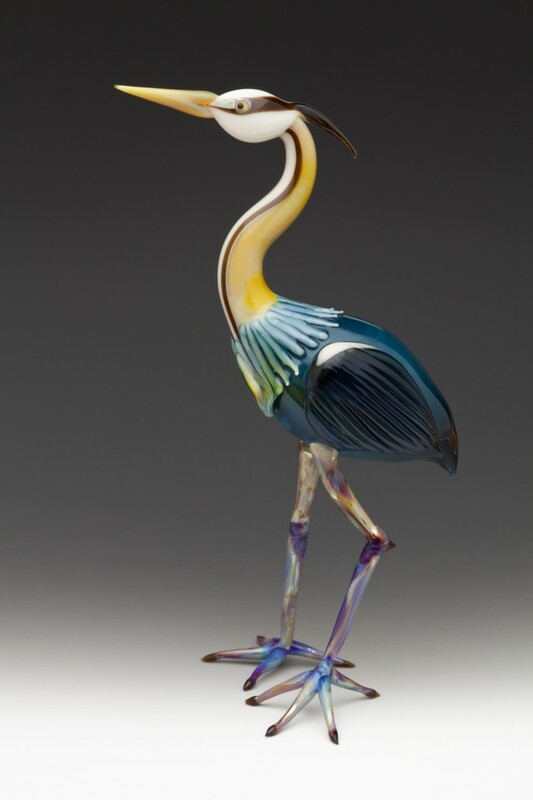 Suellen Fowler’s glass work will always stand out because of her unique palette of hand-mixed colors, the absolute precision of her skills, and her uncompromising aesthetic quality. This entry was posted in Artist Bio, California Artists, Conference Presenters by dale_beevers. Bookmark the permalink.